Would you like fries with your chips? So I posted up a photo of some chips, along with a portion of fish. This was followed by her version of the same, except the chips were hidden under the fish and she had COLESLAW and TARTARE sauce with them…..SHUDDER!!! Here, it is vinegar and/or ketchup. 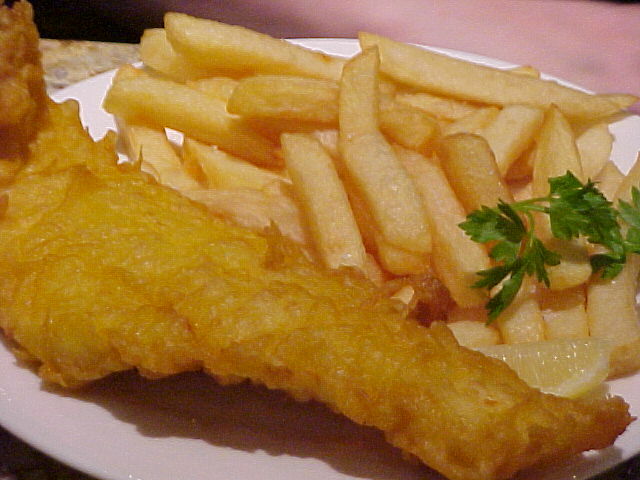 Up North, you might get curry sauce or gravy with your chips (also WRONG) – but never coleslaw or tartare sauce!!!! Well, ok, maybe tartare sauce if you are having fish-fingers but not with fish and chips, surely?!! In America there is also something called ‘steak and chop sauce’ – made by ‘London Pubs’ and advertised as ‘a ‘traditional British sauce’. On further investigation this turns out to be Daddies Sauce, or Brown Sauce. A must with fried eggs (for some!). But NEVER with steak or chops!!! Anyone for canapes? No thanks, mine’s an amuse-bouche……. Anyway, this weekend is my BIRTHDAY weekend. Not actually my birthday, that’s on Monday, but the celebrations begin today! I have discovered we call them AMUSE-BOUCHE here. Which I find amusing in itself. Probably someone misheard it once and it stuck. Personally I like amuse-bouche better as it means entertainment for the mouth and that’s got to be good. ‘Mise en bouche’ means ‘setting for the mouth’ – not nearly as appealing. No wonder they changed it…..
Are amuse-bouche the new canapes? 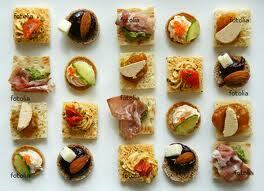 Were canapes the new Cheesy Wotsits? How come we never had “amuse-bouche” or “mise en bouche”, or whatever they are called – or even canapes – when I was growing up?